Looking For A Business Phone Number? 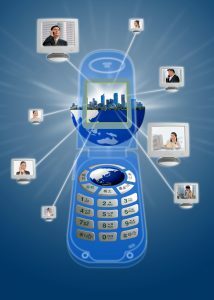 Globalink Business Phone Number will allow you to stay connected with your customers from around the world. For an example, a New York City Business Phone Number, will give you a local presence in the largest city in the United States of America. Your customers can contact you without making an international call. Or perhaps you live in London, United Kingdom and just want to add a local phone number in San Francisco (California, United States). Our Cloud based VoIP Service is quite sophisticated. It can track and screen your calls for you. You can forward the number to your mobile phone, conference your colleague or route your calls elsewhere as you wish. Or you can have Globalink Automated Answering Service record the voice mail and send it to you via email as a mp3 or wav audio file. Or you can have our system transcribe the call into text so you can read it later. Our technology helps you connect with the customers you wish to talk to, all at your own convenience. Are your advertising dollars working for you? You can even track your incoming calls in real time to see which customers are calling which local numbers by city. This will help you allocate your advertising money you spend. For an example, perhaps you advertise in Dallas, Texas, USA and Denver, Colorado, USA. By looking at the call detail records in our Cloud VoIP Phone Service, you can tell whether Dallas or Denver has more calls. You can then allocate your advertising budget accordingly. Do you know which employee is the most productive? Our Cloud VoIP Phone Service keeps track of all calls made or received by an extension or phone number. You can easily tell by looking at the call details record (cdr), which employee is most effective in using his or her time. Our system can be setup to record all calls if that is a requirement for your business. Setup a Globalink Business Phone Number in your iOS or Android smart phone. Our Mobile APP will allow you to receive and make calls worldwide. Or use Globalink WebRTC Globalink Business Phone Service without the need to install any software. Purchase a Globalink Business Phone Number from the country you are travelling from, so callers can call you as if you were still home.